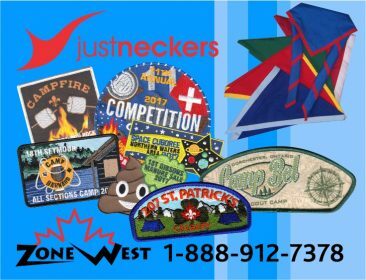 I, like you and many Scouters across the country, have recently been contemplating The Canadian Path (what is it, what does it mean for Scouting in Canada…, all sorts of questions). My conclusion: I think refreshing and re-imaging Scouting to make it more relevant for the Millennial (and now Centennial) generation is important to attracting new youth participants. Change is a good thing after all (and the only constant in the universe). That being said, I’ve been told that, with a couple important exceptions, The Canadian Path is essentially the same methodology we’ve always used. This means the transition from what we do now to the “new” Canadian Path shouldn’t be too painful (understanding of course that there are still some pieces of the process yet to be unveiled and Group/Section time and resources are always at a premium). What are the important exceptions you ask? The big one in my mind is “Youth-led” – how do we flip our programs from Scouters leading youth to youth leading youth and Scouters guiding the process? It’s a valuable and difficult question, especially considering the younger Sections. The answer is we don’t need to have the answer or re-invent the wheel here. There are several successful examples of “flipped learning” out there. These constructivist approaches to education promote strong teamwork, leadership and problem-solving skills, extremely valuable qualities in the 21st Century and the core of Scouting for over a century. An invaluable step in character training is to put responsibility on the individual. Below is a link to a TedTalk that my brother (also a Scouter) sent me, and it’s stuck with me over the years. Not only was it delivered by a 13yr old, but it also demonstrates the power of letting youth lead their own education process. I hope you enjoy it as much as I did.